It was summer and it was sunny. 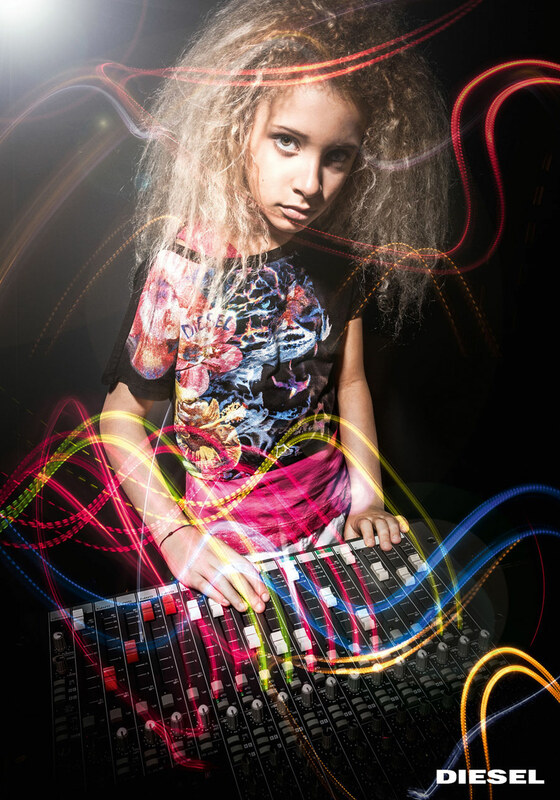 Part of the inspiration came out from a statement: everyone wants to be a dj! The kids transformed the set in a dance floor and some old schools materials gave the shots that 90’s attitude sooo “TOTP” style! We liked it and retouched the images with some colors’ lines in postproduction.